Ngaran Ngaran Culture Awareness (NNCA) was established in 2011 and is an Aboriginal owned and operated Cultural service provider running Aboriginal tourism experiences in the Narooma/Tilba region on the South Coast of New South Wales on Yuin Country. Your lead guide is Dwayne ‘Naja’ Bannon-Harrison with over 17 years of experience along with 9 generations of cultural teachings passed down. 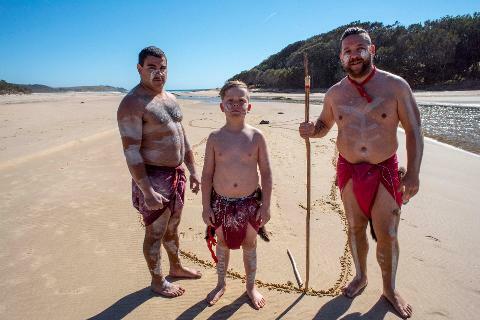 Dwayne and the family team at NNCA invite all walks of life onto Yuin country to learn and immerse yourself in the world’s oldest living culture. 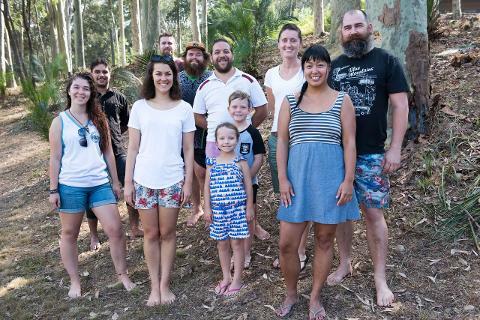 Gulaga Mountain is the centre piece of the Yuin people and as traditional knowledge holders and teachers, NNCA guide you in this 2 night – 1 day Indigenous experience to connect you to the creation stories and enable you to walk away with a piece of the sacred dreaming of the Yuin forever. Ngaran Ngaran Culture Awareness motto is‘give it away to keep it’. By sharing our culture and generational knowledge, we want to show that traditional Aboriginal culture is well and truly alive in South Eastern Australia. The Gulaga Creation Tour is a 40 hour experience that starts on the evening of Day 1 and concludes mid-morning on Day 3. 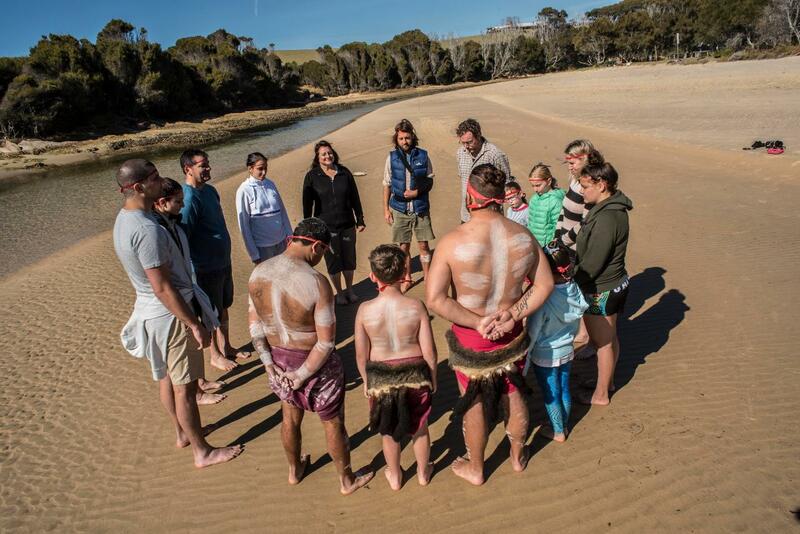 The traditional custodians of Yuin country – Ngaran Ngaran Culture Awareness invite you to come, walk and listen to a sacred dreaming of creation that Gulaga holds. This tour includes two nights’ accommodation, meals as indicated and a team of guides from NNCA offering insights, knowledge and dreamtime stories for the duration of the experience. Traditional Welcome - The experience begins with a welcoming to Yuin country, dance performance, dinner, a tour briefing and traditional yarning circle. Sunrise Beach Ceremony – this is the way you will start your day, out on the sand welcoming one of the Yuin elements in a traditional sacred ceremony with spectacular ocean scenery.This is followed by a continental breakfast. 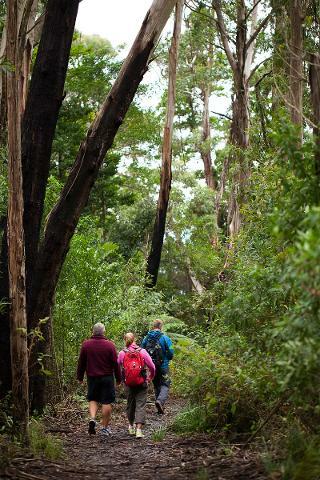 Gulaga guided day tour – starting at the historic Pam’s Store in Tilba Tilba you will begin your journey onto the sacred Gulaga Mountain. This involves a 2 hour ascent of walking, taking in all the surrounds of Gulaga National Park complemented by the tour guides knowledge and protocol sharing - this truly gives you the opportunity to look,listen and see what Gulaga has to offer and its importance to the Yuin people, from cultural knowledge handed down from generation to generation. This is the core aspect of the experience and takes most of the day. Packed lunch is included. Arrival back atthe Island View Resort is between 4-5pm allowing free time before the evening events. 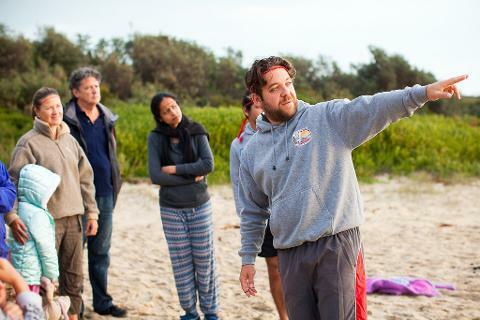 Traditional Reflection Yarning Circle – Following your full guided tour all with ceremony, knowledge and an immersive walk, you will get to unwind with a localized indigenous flavored dinner including fresh seafood & kangaroo meals. You’ll hear Yidaki (didgeridoo) then listen and share your experience in a traditional yarning circle led by the custodians to enhance your immersive cultural experience, truly a highlight of the tour. The experience is accommodated at Island View Resort, Narooma.Prices are based on shared accommodation. Private accommodation is available at an additional cost. Shared Accommodation The shared accommodation is in the 5 bedroom Olympic Cabin and includes 2 double bedrooms (a priority for couples), 3 bunk rooms accommodating 4 – 6 people per room, 3 bathrooms, self-contained kitchen,outdoor decking area, and large living/dining area with wood fire heating. All the included meals are catered for in the Olympic Cabin and the group activities are here. Check in time: From 5.30pm. It is recommended that you arrive and check-in by 6.30pm. Private Accommodation This is option is available for guests who wish or require private accommodation. Accommodation is in a two bedroom cabin,(one double bedroom, and one bunk room accommodating 2 people) with sole use for the individual, or small group of up to four.The extra cost of $400.00 is in addition to the standard price for 2 nights. Please note catering and activities will be held in the Olympic Cabin with the main group. Check in: From 2pm. It is recommended that you arrive and check-in by 6.30pm. Day one:Dinner, accommodation and activities as defined in the itinerary features. Day two:Breakfast, lunch, dinner, accommodation and activities as defined in the itinerary features. Day three:Breakfast and activities as defined in the itinerary features. The following is a guideline to meals served where included in the itinerary features.Vegetarian and gluten free diets can be accommodated.Dietary requirements must be advised at the time of booking. Lunch: Packed lunch including cold meat and salad rolls, fruit. 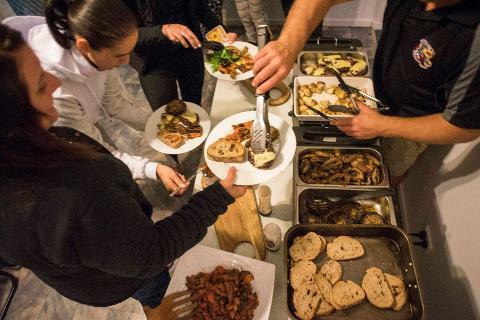 Dinner: Indigenous cuisine including local seafood, kangaroo with a range of Indigenous spices and spreads, salads, juice, tea and coffee. Tours operate from October through to May and start Friday at 7pm and finish on Sunday at 11am. Midweek group bookings are available and are perfect for niche tourism groups, families, corporate and workplace team building and for cultural competency requirements. Tours start 7pm Day 1 through to 11am Day 3 and are available by request and subject to availability. As this experience includes an outdoor 5-7 hour walking tour, we recommend guests wear comfortable walking shoes, and bring a backpack,sunscreen, hat, and water bottle. If wet weather is predicted, it is recommended to pack wet weather gear and a change of light warm clothes for the day walk. Child: Under 5 years free of charge when accompanied by an adult. 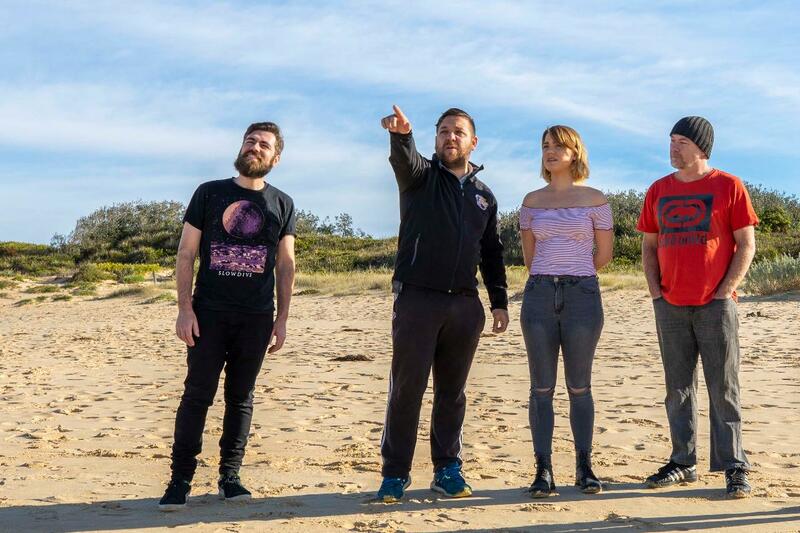 Narooma and the neighboring Tilba region is located just over 4 hours and 30 minutes drive south of Sydney, 3 hours drive east of Canberra and 8 hours drive north east of Melbourne. Bus transfers are available for additional costs from Moruya (Local), Sydney and Canberra Airports. Fares are based on location & hourly rate basis prices start at $80-$150 per person min group size of 6. We require you to use your own transport to drive 15km return to Tilba from Island View Resort in groups under 12. Please ensure you have adequate water bottles. We will have some spare however only limited supplies.